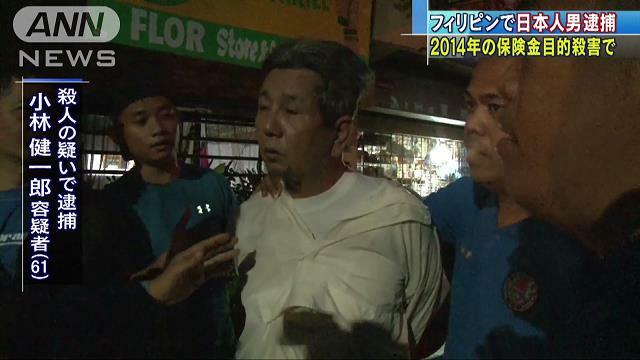 PHILIPPINES (TR) – Local police last week arrested a 61-year-old Japanese national wanted in connection with the alleged murder of two Japanese men in Manila in 2015 and the year before, reports the Chunichi Shimbun (Mar. 15). At around 6:30 a.m. on March 15, officers apprehended Kenichiro Kobayashi in Quezon City, located outside Manila, on suspicion of murder. “I, myself, didn’t kill anyone,” the suspect was quoted by police in denying the allegations. 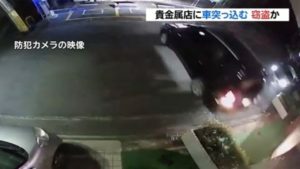 According to the Philippine National Police, Kobayashi, a resident of Manila, was the mastermind in the killing of Shinsuke Toba, 32, of Yamanashi Prefecture in Japan, on October 18, 2014. In the murder, a hitman riding on a motorcycle shot and killed Toba in Las Pinas City in Manila. 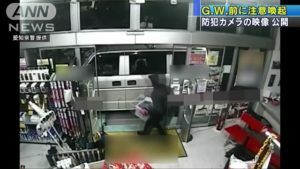 In the second case, the same hitman shot and killed Tatsuya Nakamura, 43, also of Yamanashi, in the same city the following September. 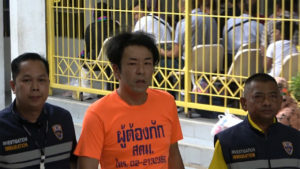 Kobayashi had been listed as wanted by Interpol. His apprehension followed several months of surveillance, police said. In January, 2017, police arrested Kirby Tan in Las Pinas City for serving as the hitman in both crimes. Two years ago, a court in Yamaashi handed a death sentence to Toshihiko Iwama, 45, for participation in the killings. 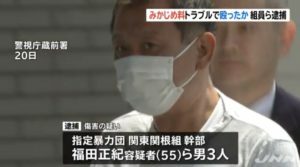 An accomplice of Iwama, Shoichi Kubo, was handed a life-in-prison term. Iwama is appealing the decision. In handing the down the ruling, the court said that the defendants committed the crimes to collect insurance money. According to a previous report, a traveler’s insurance policy valued at 100 million yen had been taken out on Toba. Another policy valued at 50 million yen was taken out in the name of Nakamura. However, payouts were not made for either policy.